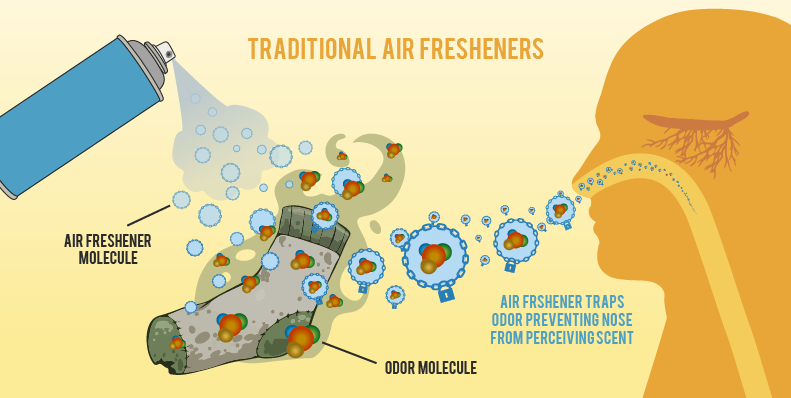 Thousands of deodorizers and air fresheners are advertised on the market every year, unfortunately most of these products don’t clean the source of the odor, but rather mask its scent. That nice fruity or floral scent you just sprayed is really a highly formulated chemical that prohibits the unwanted odor molecules from binding to your nose’s sensory receptors. 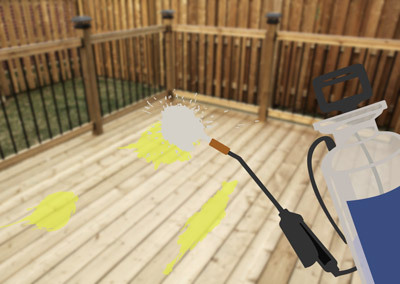 Not only does the grime still remain, but these sprays can be hazardous to your health, contribute to air pollution, and only have a lasting effect of a few hours. Enzymatic cleaners are not chemical solutions nor fragrance maskers, but rather a blend of naturally occurring enzymes that go after the source and ingest the odorous dead or dying organic matter. Enzyme-based solutions are customarily non-poisonous, non-caustic, harmless to humans, pets & plant life, safe in plumbing, and environmentally friendly. As they gain more popularity, these cleaners are now widely being used at hospitals, nursing homes, animal shelters, kennels, zoos, and of course – pet waste removal companies. 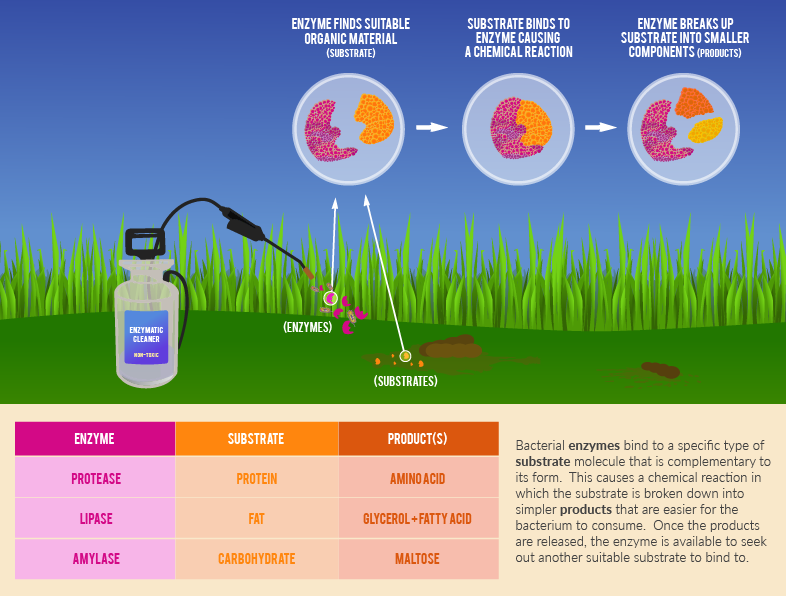 Let’s discuss further how the enzymes work and why Pet Poo Skiddoo chooses enzymatic cleaners to deodorize clients’ yards that have been taken over by their dogs. 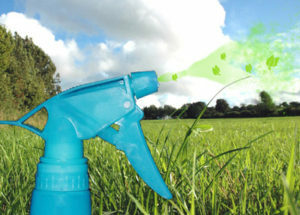 NOTE: that this article is referring to enzyme cleaners that are known to be safe to use on grass. 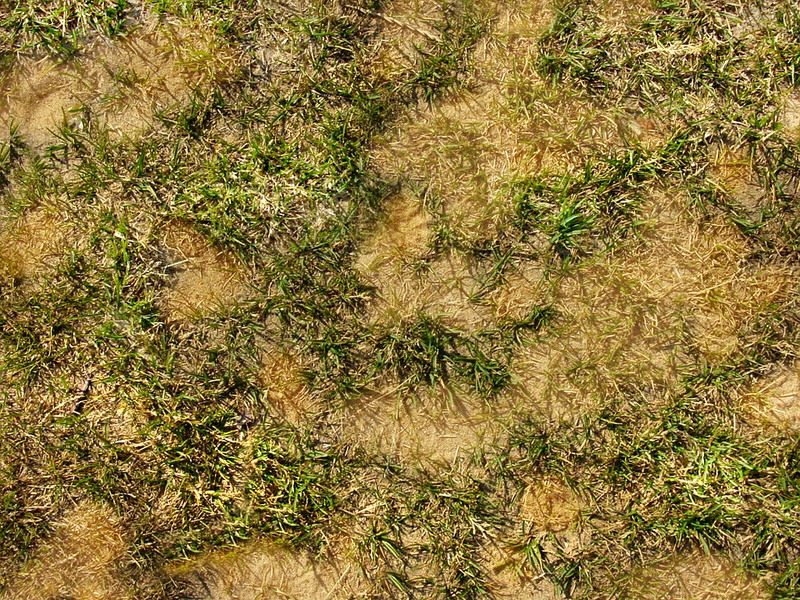 If not clearly stated on the product’s label, please check with the manufacturer if it can be used on your lawn. Enzymes are proteins that exist in all living cells of plants, animals and humans whose purpose is to stimulate the thousands of internal chemical reactions that occur to support vital bodily functions. Most enzymatic cleaners will utilize similar enzymes produced from single-celled organisms called probiotics, or “the good bacteria”. Within each enzyme contains a sequence (or chain) of amino acids, which can be rearranged to target different types of organic material or substrate. For example, the sequence that makes up the enzyme Protease targets protein-based material such as blood and milk, the enzyme Lipase targets grease-based material such as butter and oil, and Amylase targets starch-based material such as potatoes and pasta. 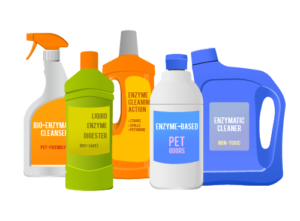 Enzymatic cleaners will typically be formulated with a combination of these enzyme types in order to tackle more complex substances (such as urine and feces). 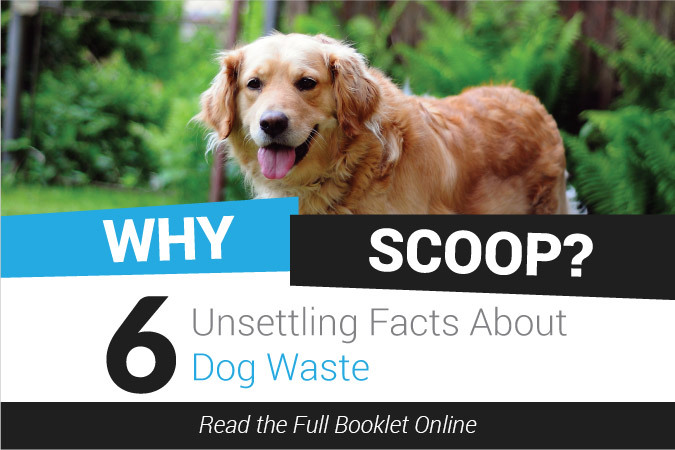 What do enzymes do to the dog waste in my yard? When the bacteria in the cleaner is released onto the lawn, the inherent enzymes will bind to a correlating substrate almost like a puzzle piece, causing a chemical reaction that will break it down into smaller components making it easy for the bacteria to ingest. The bacteria grows as the process repeats until the dwindling food supply is no longer sustainable, in which the deprived bacteria will then taper off. 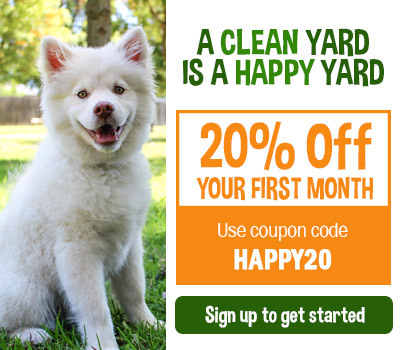 To sum up, the enzymatic cleaners will not add a synthetic fragrance to your yard, but instead eat away at the odor-causing molecules that were left behind from your dog’s excrement. 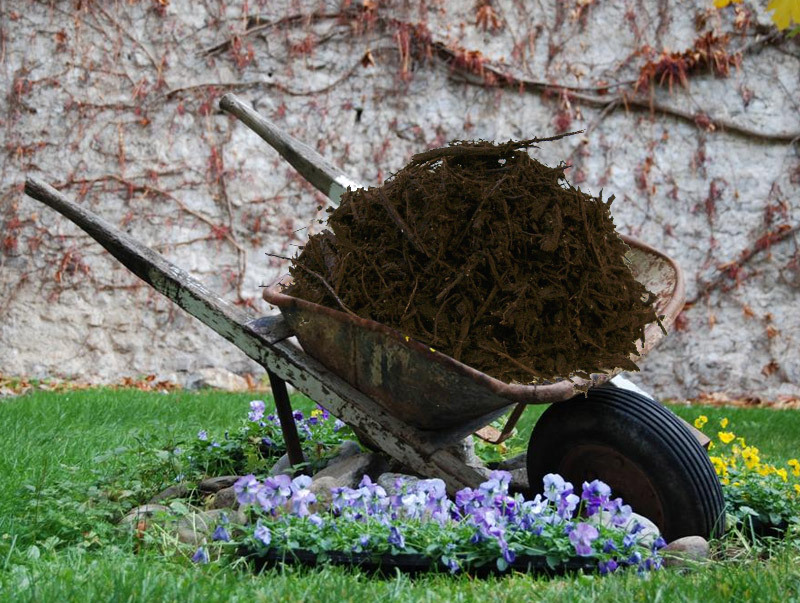 The cycle can last for as little as a few hours to a few days depending on how much poo was on the ground. Please keep in mind, enzymatic cleaners ARE NOT the magical “poop-be-gone” spray that you have long been waiting for; they are not meant to be applied on full-size droppings, merely the particles and smears left behind after a complete scoop of the yard. It is also important to note that enzymatic cleaners ARE NOT disinfectants – meaning there is no guarantee that the enzymes will break down any coliform bacteria, viruses, or parasites that may have been released with the feces. If your dog is known to have a serious illness or you are running a shelter where there is a higher chance of infection, a disinfectant may be needed to greatly lower the risk of disease transmission. 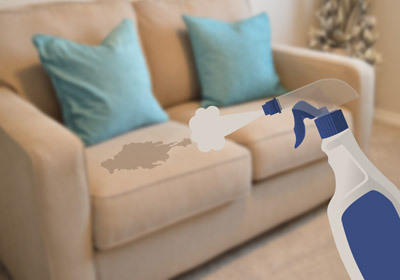 Not only are enzymatic cleaners great for deodorizing, but they can be a powerful stain remover as well. Enzymatic cleaners can be applied to a wide array of surfaces that may include concrete, carpeting, walls, clothing, upholstery, and certain types of wood – of course each product’s formula is a little different so please read the label carefully to ensure there are no additives that may harm a particular area you are trying to clean. While we are a fan of using vinegar and baking soda for more recent indoor “accidents”, enzymatic cleaners are very effective on older stains, breaking down the soils and diminishing any lingering odors that may have been trapped inside. 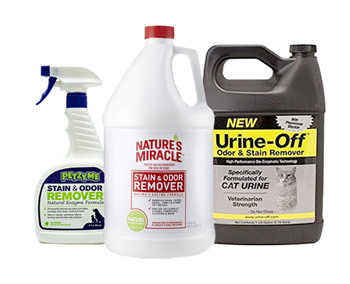 If you are a pet owner, you probably have learned that once a piece of furniture in your home has been urinated on, no matter how much you clean your pet will still know that it’s a marked spot and will most likely urinate on it again. Although the stain may visually be gone, your dog’s strong nose can still smell the remaining chemical compounds locked inside the fabric. This is where enzymes are necessary to break down the uric acid into its basic elements and released from the fabric, resolving your chair from the role of wee wee pad. TIP: If the product’s formula is labeled as safe for wood and the outdoors, applying the solution to your deck and patio is another good way to deter your pets from defecating near your home, encouraging them to do their business farther out in your backyard. Compared to traditional cleaning chemicals, enzymatic cleaners can be less harmful to use as they (in general) are safer to inhale, nonirritating to your skin, and do not release any damaging pollutants into the atmosphere. In fact, many enzyme based products are deemed safe to spray directly on your dog’s fur in order to remove those lovely odors your pup has collected from rolling around outside. Since enzymes naturally occur almost everywhere in nature, these products are not reliant on fixed resources or petroleum-based ingredients that are known to be detrimental to our ecosystems when used in the manufacturing process. Not only does this mean a smaller footprint, but enzymes can actually help mitigate contaminants that we are exposed to on a daily basis. 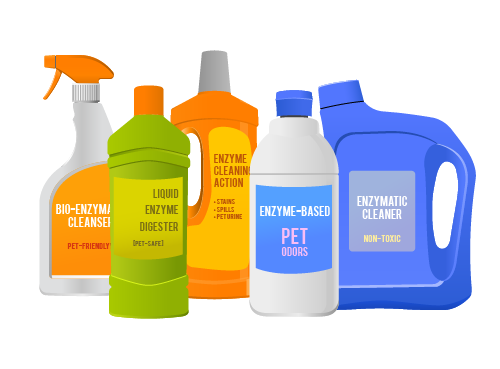 What Brand Of Enzymatic Cleaner Does Your Company Use? 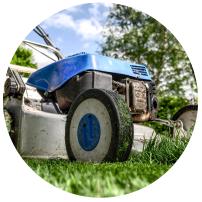 ​ Although we may use various products to disinfect our tools and transportation vehicle, our favorite brand of choice to deodorize our customers’ lawns is called Odormute, a trusted brand that has been made in the United States since 1957. 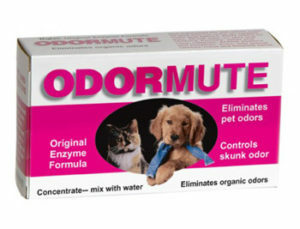 Although having many products to choose from, after much research, product testing, and valued customer feedback, Odormute was found to be the most effective in outdoor vicinities as both a deodorant and deterrent for dog waste. 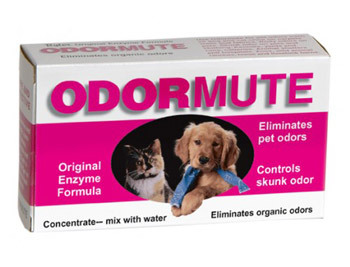 Originally created for deskunking dogs, Odormute is a blend of enzymes presented in a concentrated powder-based mix, making it easy to store & handle, and maintains its full deodorizing strength for 5-8 years. While Odormute may be more popular than you think, it is true that is it not the common staple found in everyone’s household – this may be due to its inconvenient method for quick use. You must first mix the powder in water, let sit for 5-10 minutes to dissolve, then use the entire mixture within 4 hours before the enzymes deactivate. Perhaps not ideal for small daily cleanups, but certainly worth it for more heavy duty projects.. If looking for an alternative to the powder mix, liquid enzymatic cleaners are available that are pre-mixed and stabilized with solubilizers so that they are ready to use at any given time. Examples are Nature’s Miracle, Urine Off, and Petzyme.